Indonesian Matahari Department Store Head of Ecommerce & Omni Channel on the retail chain's next move! 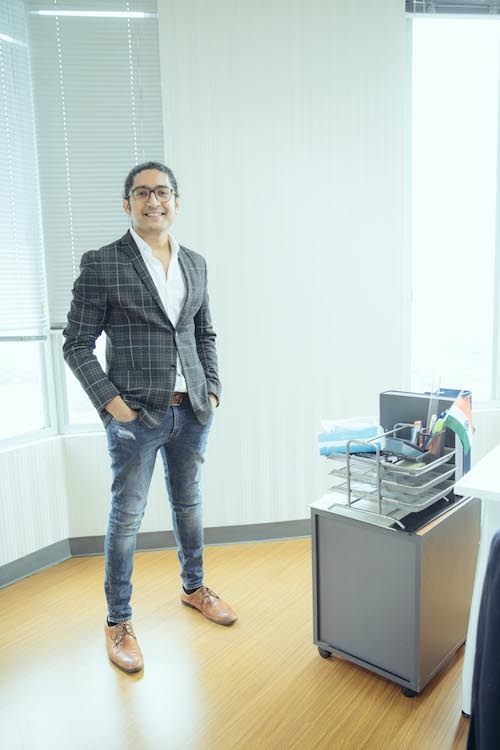 Home »Asia eCommerce & Retail News»Indonesian Matahari Department Store Head of Ecommerce & Omni Channel on the retail chain’s next move! Indonesian Matahari Department Store Head of Ecommerce & Omni Channel on the retail chain’s next move! You’ve worked in India and Dubai before Indonesia, which brought you to Indonesia and how is it to work as a foreigner in Indonesian ecommerce and retail space, eg pros and cons? My assignments in India and the recent with Landmark Group, Dubai were extremely successful and revolutionary for the respective regions, we created the first and true Omni-Channel retailing across the Middle East and India. Learning never stops and was really looking forward to other emerging markets and was well aware of how progressive the entire South East Asia region is in the digital space, be it the ride-hailing/fintech unicorns, Go-Jek and Grab growing at a staggering rate or the growing influence of Chinese giants Alibaba and Tencent in SEA, Indonesia stands in the centre of it with such a massive customer base and being the biggest economy within SEA, it was kind of an obvious choice for me to venture here and learn more about the people, the culture and more importantly drive Digital transformation with Matahari, unarguably the biggest retailer in the country. Its only been 4 months for me here and already feel so welcomed, the vibe is amazing, people eager to learn, adapt to the changing customer needs and really transforming how traditional businesses run across so many sectors be it consumer-facing or otherwise. W.r.t cons again too early for me to comment, instead I would say there is so much of opportunity outside of Java in particular, where the internet/smartphone penetration is not as high as here in Java, but overall I am very bullish about Indonesia and it will have a record-breaking CAGR for E-commerce & other Digital initiatives in the coming years. Can you share about the difference between MatahariStore website and MatahariMall.com business direction? We released a PR few weeks back that Mataharimall.com will be transitioned to Matahari.com, we feel that it is the right move to provide a better experience for our customers, as Matahari will be leveraging the technology expertise of Mataharimall and using its own retail expertise to drive the business forward. 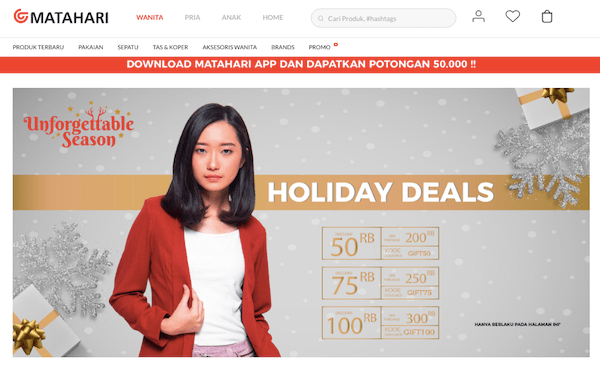 We will be releasing new apps and other digital platforms later this month for Matahari.com, the vision for us in Matahari is to become the biggest Omni-Channel player in Indonesia by providing seamless customer experience across our stores and online channels. Fashion is one of the main featuring product line of MatahariStore, how would it be represented on online and any finding in this fashion ecommerce you can share? Absolutely, fashion is the core for our business and also the most challenging, as it changes very frequently with all the new trends coming from around the world, Matahari has so far done a great job in understanding the customer needs and pro-actively inspiring the people of Indonesia. There are so many ways to merchandise in an Omni-Channel approach, our priority at this stage will be to onboard some of our really successful and loved brands online and provide a great customer experience with a vast and relevant range and assortment with very affordable pricing. Indonesia is a highly competitive market especially in the ecommerce world with Lazada, Shopee, Tokopedia, Bukalapak… what do you think about this competition and what are the competitive advantages of MatahariStore to attract and retain customers? Matahari is a household name, also one of the first modern trade retailers in Indonesia, and has built a reputation over so many decades as a go-to destination for latest fashion with very affordable prices and most importantly catering to the whole family. Family, Tradition and Culture is what inspires us and goes in parallel to the Indonesian culture of celebration of the good times with your loved ones. All this success doesn’t make us complacent but rather give us an additional responsibility to continue to provide greater experiences for our customers, having said that, adapting to the changing customer needs we are in the transformation phase to revolutionize retailing and to become the first and true Omni-Channel player in Indonesia. Leveraging on our brand value, our immense store presence across the archipelago and great technology we would be truly transforming the retail space in the country. O2O is an irresistible trend in retail, how is it going on in your firm activities? What are the important channels? What are the key factors/concepts of O2O from your viewpoint? As said earlier, we truly believe that O2O will be a game changer for Indonesia, as it is time for New age retail, where it is so important for customers to find consistent and seamless experiences in whichever channels they choose, Omni is the key. I think having a Single view of customer and a single view of inventory from a business standpoint are the core fundamentals to drive a great customer experience across all possible channels, B&M or E-commerce. Any ratios, trend in online payment in Indonesian market, especially from a retail chain’s eyes? In the recent years, we have seen a great improvement for Indonesia growing as a cashless society, as per Google’s 2018 survey, there has been a 6X growth in the digital finance apps, this is great for customers as well as for business. There’s still a long way to go, as retailers we are very excited to be a part of this journey as we share a common belief that shopping experiences need to be as easy and convenient as possible. Anything you’d like to share with SE.Asia e-commerce community? These are great times we are in here in Indonesia, a staggering CAGR of 49% for online purchases in the last 3 years and it will only go upwards from here. But what is important for all the e-tailers is to have sustainable growth, not just to focus on the top-line but also focusing on eventual profitability and continue innovating and providing greater customer experiences which also helps the overall ecosystem and inspires others. Flywheel – Finding the growth wheel for your business!